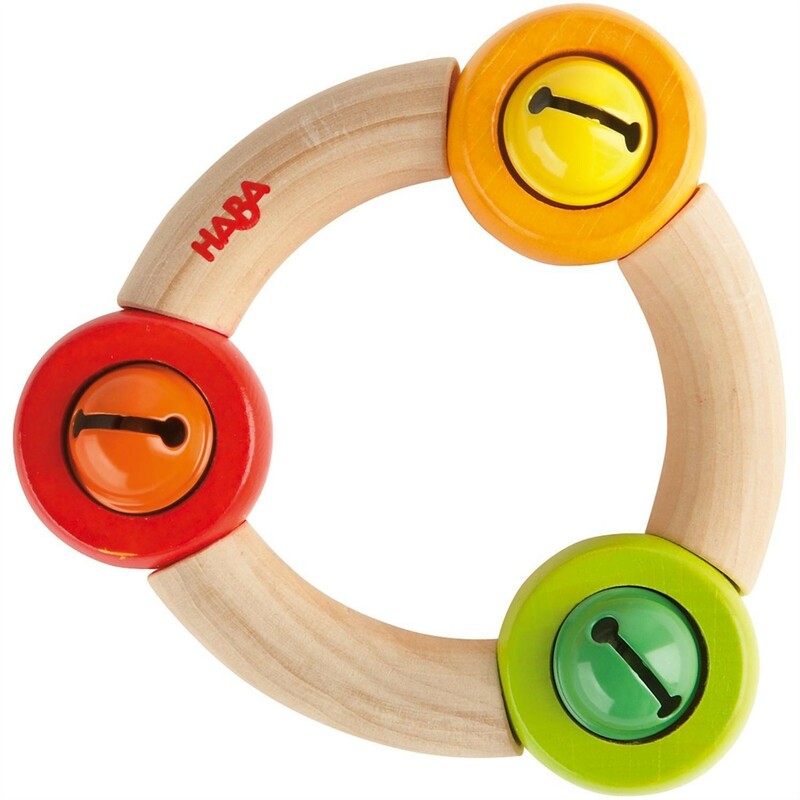 This delightful wooden ring toy has three colourful wooden pieces with little bells inside attached to thr ring by elasticated string. 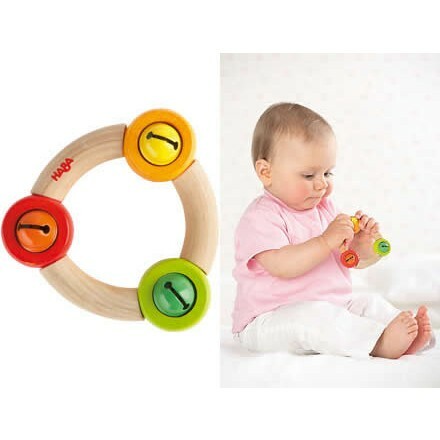 This means your baby can squash, pull and squeeze the toy into different shapes while the little bells jangle about. A great little toy to stimulate their sense of touch and hearing. Also safe as a chewing and teething toy, made from high quality beech wood.